On this episode of Blues Unlimited, we jam out in style with some memorably hard rocking, searing and soaring, gut wrenching and spirit lifting, "get-out-your-air-guitar-and-play-along" all time Blues favorites. From Pee Wee Crayton and T-Bone Walker, to Elmore James, Pete Lewis, Chuck Berry, Robert Nighthawk, Wild Jimmy Spruill, Otis Rush, Hound Dog Taylor — and lots more — join us for two hours of Red Hot and Smokin' electric Blues guitar. 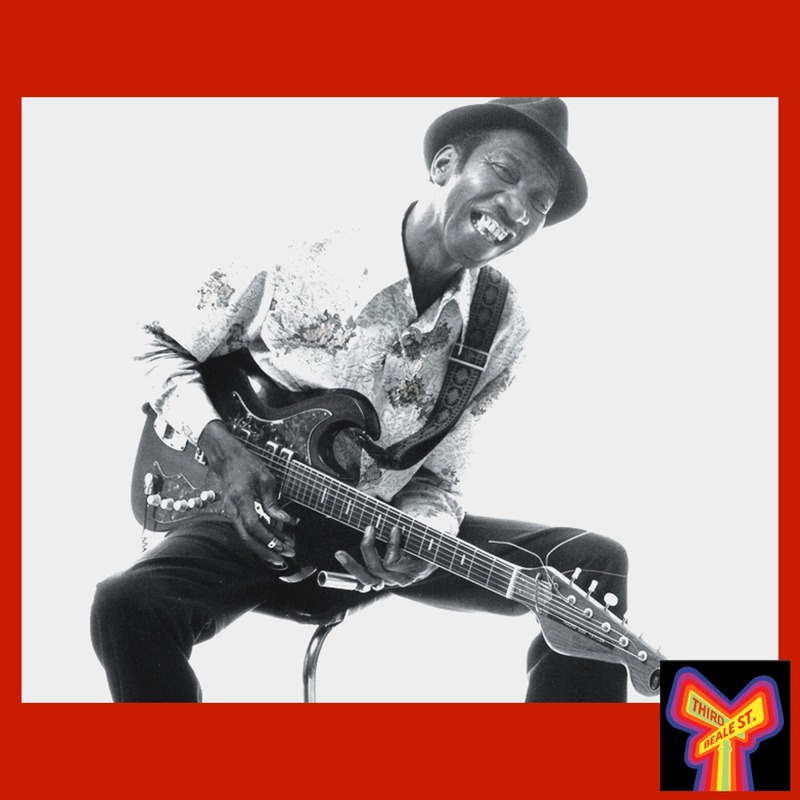 Pictured: Legendary slide man, Hound Dog Taylor. Photo by Bob Keeling.